Falmouth is favored to win a fourth straight boys' crown, and Cape Elizabeth enters the girls' tournament as the No. 1 seed. The Falmouth High boys and Fryeburg Academy girls will try to defend their titles Saturday at the Ultimate state championships at the New Gloucester Fairgrounds. 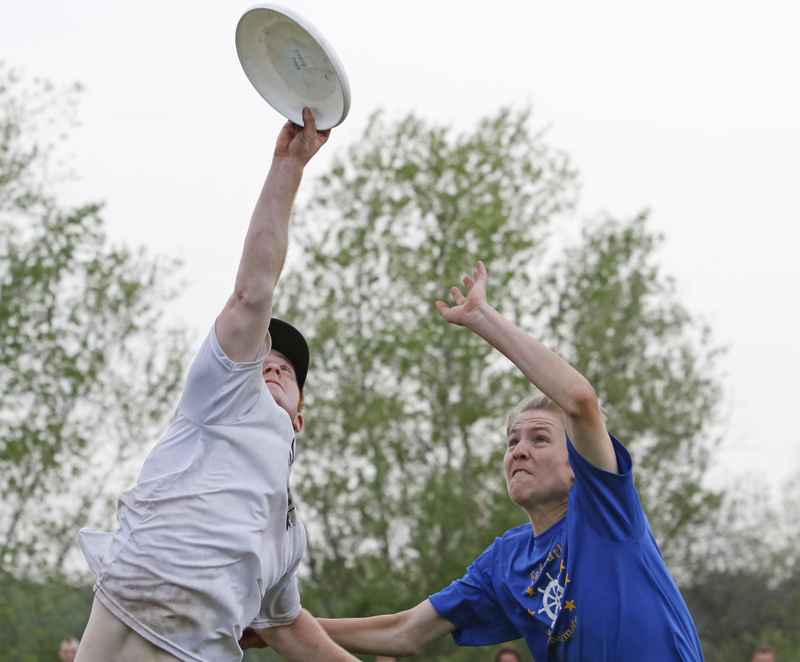 Ultimate, a seven-on-seven game played by advancing a flying disc with throws and catches, has taken off in popularity as a club sport at Maine high schools over the past decade. The Maine High School Spring League debuted in 2009 with eight teams. This year, 52 teams from 18 schools compete in four divisions (Boys A, Boys B, Girls and Mixed), with about 650 participants in total. Schools from the midcoast compete in the league, but most are from the greater Portland area. Westbrook and Gray-New Gloucester have teams in the boys’ division for the first time. Saturday’s tournaments mark the fourth year of state championships for boys’ and girls’ teams, with the Falmouth boys and Fryeburg girls having won each of the first three years. Mixed championships date back to 2005 and will be held June 18 at Wainwright Recreation Complex in South Portland. The boys’ tournament will feature eight teams in a single-elimination format, with the quarterfinals scheduled for 11 a.m. and the final at 3 p.m. Losing teams will continue to play each other to determine places three through eight. Games last 75 minutes, or until one team reaches 15 points. Teams get a point for each disc caught in the opponent’s end zone. Top-seeded Falmouth is favored to repeat. “Falmouth boys have been a perennial power every year,” said Kevin Massey, coach of the Cumberland boys and co-director of the high school league. In the girls’ tournament, Fryeburg and last year’s runner-up, Cumberland, lost key players to graduation after last season. Cape Elizabeth enters as the top seed. The girls’ tournament will begin with pool play at 9 a.m. The championship game is scheduled for 4:15 p.m.